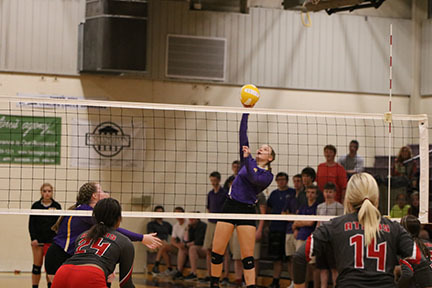 Our Varsity Volleyball Girls defeated the Atkins Red Devils 3-1 at the Family Activities Center on September 17. The JV girls won 2-0. Junior Emily Briggler is seen spiking the ball here.